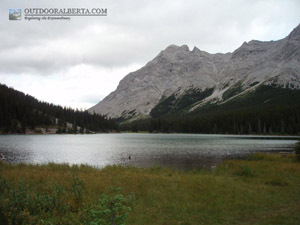 Elbow Lake is a very popular lake to visit from a short and somewhat steep hike. On a sunny day the lake looks like a gem but when I visited the weather was not so nice. The water here is clear and mostly shallow off the shore with the exception of the scree slop on the north side. 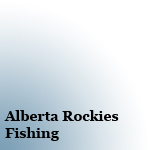 Brook Trout and Cutthroat Trout live here and they naturally reproduce. 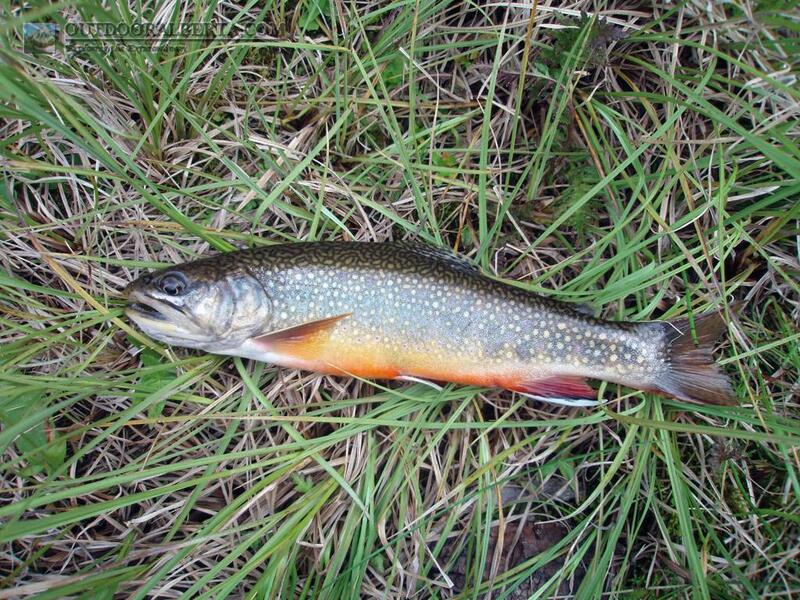 The Brook Trout seem to be dominating as I only saw juvenile cutthroat. 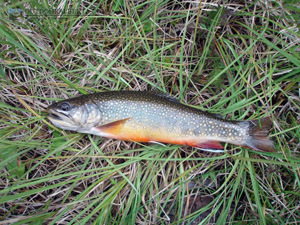 The Brookie above is 9" but I did see some that looked larger.